Ultimate Fight Night 5 was a mixed martial arts event held by the Ultimate Fighting Championship on June 28, 2006. The event took place at Hard Rock Hotel and Casino, in Las Vegas, Nevada and was broadcast live on Spike TV in the United States and Canada. The show drew a 1.4 overall rating and served as the lead-in for the premiere of Blade: The Series. 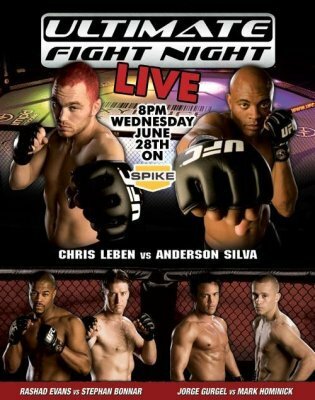 This event also featured the UFC debut of future middleweight champion Anderson Silva. The disclosed fighter payroll for the event was $197,000.